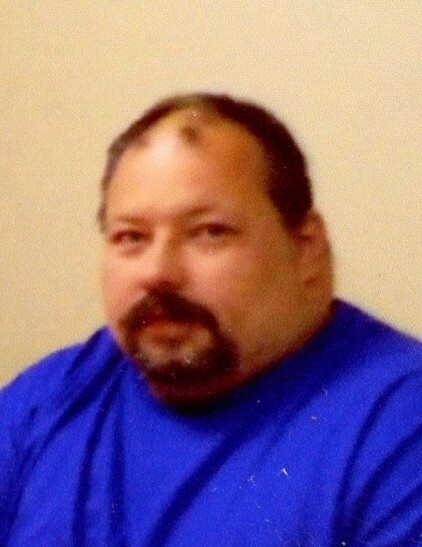 George Wesley Sparenberg, 43 of Rowlesburg, died Monday, January 7, 2019 at home with loving family by his side. He was born September 16, 1975, in Baltimore, MD, a son of Joseph Sparenberg, Sr. and Helen Guthrie Sparenberg. He was a mechanic for Rowlesburg Service Center for 15 years, a handyman and staff member for Browning and Burke Funeral Homes for several years. George was a loving son, brother and friend. He graduated from Preston High School, Class of 1994. He hung out with the guys at Cool Springs and loved spending time with his companion Teri. He is also survived by his companion, Teri Cramer; his brother, Joseph Sparenberg, Jr. and wife, Carolyn of Rowlesburg, three sisters, Mary Riley of Kingwood, Fay Weaver and husband, Richard of Howesville and Rita Hotz and husband, Joseph of Kempner, TX; many aunts, uncles, nieces, nephews and cousins. He was preceded in death by his sister, Helen, six uncles and an aunt. The family will receive friends at Burke Funeral Home in Rowlesburg on Thursday, January 10, 2019 from 11 am - 3pm the funeral hour with Dan Stottlemyer officiating. Burke Funeral Home is assisting the family with cremation after services.